BEAN GOOD TO ME Bella Rosa's coffee beans are roasted in a proprietary device that uses 80 percent less energy than typical roasters. In the crowded coffee business, Jon Bixler, owner of Santa Rosa's Bella Rosa Coffee Company, says his company is growing at a "terrifying" rate, 35 to 40 percent per year. This year alone, Bixler expect to roast over a quarter of a million pounds of coffee. It's no wonder. Bella Rosa's coffee is everything good coffee should be: rich, balanced, bright but not acidic, nutty and aromatic, as well as socially and environmentally conscious. Bixler and co-owners Cynthia Buck and David Greenfield integrate values of family, community, ingenuity and environmentalism into their business. Bella Rosa's coffee beans are 100 percent organic and roasted on-site in what can only be described as a "top secret" cutting-edge piece of technology. I wasn't allowed to take pictures of the roaster, but I did get to see it in action. The machine uses a convection process, as opposed to the more commonly used heated drum. The roaster uses 80 percent less natural gas than a comparable sized drum. The entire roasting process is controlled by a computer program developed by Greenfield over the course of two years. The company claims it can roast 60 pounds of coffee, with 200 different flavor profiles, in 12 minutes—and it does, all day long. 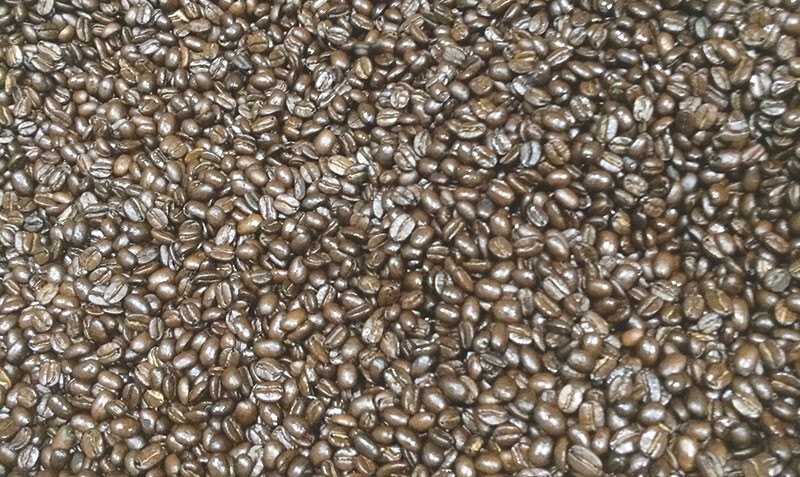 The roasted beans sit overnight to allow much of the CO2 that off-gasses from roasted coffee to blow off. Each morning, Bixler and Buck brew a cup of each individual batch to taste for quality. Their dedication to their craft is matched by their commitment to the Sonoma County community, and the communities of their growers. Bella Rosa chooses suppliers that pay their workers at least fair-trade wages, and pays close attention to what those suppliers are doing for their communities. The company prioritizes doing business with growers who share their values, some of whom fund local hospitals and HIV/AIDS education and send their children to school instead of the fields. In Sonoma County, Bella Rosa donates coffee to local organizations like Worth Our Weight, the Ceres Community Project, local homeless shelters, food banks, schools, and even community sports teams. While the company takes its responsibility to preserve the environment seriously, the staff at Bella Rosa do not take themselves too seriously. Anyone who has visited the cafe on Skylane Boulevard gets a friendly welcome. Art hangs on the walls, and bobbleheads line shelves. A TV in the corner is reserved for old movies. This month is Bowie Appreciation Month at the cafe, so don't be surprised if you walk in and seeLabyrinth on the screen. Most of the employees are family, and the few who aren't might as well be. The most charming team member is Giacomo, son of Bixler and Buck. Having grown up at Bella Rosa, he's at home in the cafe, and can be seen running around with his green Hulk hand and a cardboard box on his head. It's clear the company keeps its guiding principles close at hand—the reason for preserving the future is literally running around beneath their feet.